Young Money: Inside the Hidden World of Wall Street's Post-Crash Recruits is a New York Times bestselling look at young Wall Street bankers after the crash of 2008. I started writing the book in 2010, when I looked around at the recent college graduates who were starting jobs at big Wall Street banks just after the financial crisis. I was curious about how the crash had reshaped the experience of being young on Wall Street, and I wanted to figure out what happened to these people once they joined the money chase. So for the next three years, I shadowed eight young workers at financial firms like Goldman Sachs and J.P. Morgan. They gave me intimate (and unauthorized) access to their lives both inside and outside of work, and taught me the secrets of the high-flying, soul-crushing world they inhabit. Young Money is the story of these eight young bankers. It's a story about 100-hour workweeks, drug-fueled all-nighters, Harvard hedge funds, dating mixers, Occupy protests, and top-secret fraternity parties. But it's also about the doubt and introspection that creeped into the financial sector after 2008, and an inside look at how the crisis really, truly changed Wall Street, starting with its youngest members. "Incredible ... a fine book." "If most chronicles of Wall Street focus on the arrogance of its culture, Young Money focuses on its insecurity." "Enlightening – and sometimes startling." "If Martin Scorsese's film The Wolf of Wall Street is about the finance industry's greediest adults, Kevin Roose's Young Money is a look at those wolves as cubs ... a surprisingly sympathetic portrait." "A person’s twenties are supposed to be for making mistakes. Young Money might keep many of America’s brightest grads from making theirs on Wall Street." "A great new read that doubles as a post-crash update to Michael Lewis' Liar's Poker"
"Young Money is a fun and fast read that will make you laugh out loud, or perhaps scoff instead." "Sharp and witty ... his prose is crisp and colorful. Recommended." "Highly entertaining and impressive ... Roose’s captivating read is sure to appeal to readers young and old who are interested in the zeitgeist of Wall Street since the crash." "[Young Money] offers a compelling glimpse of Wall Street in the post–2008 recession era...thought provoking, excellent book." "The young people who have flocked to Wall Street are often badly used, caught up in power struggles among middle management and little appreciated ... [Young Money] captures the daily indignities to which the junior capitalists are subjected." 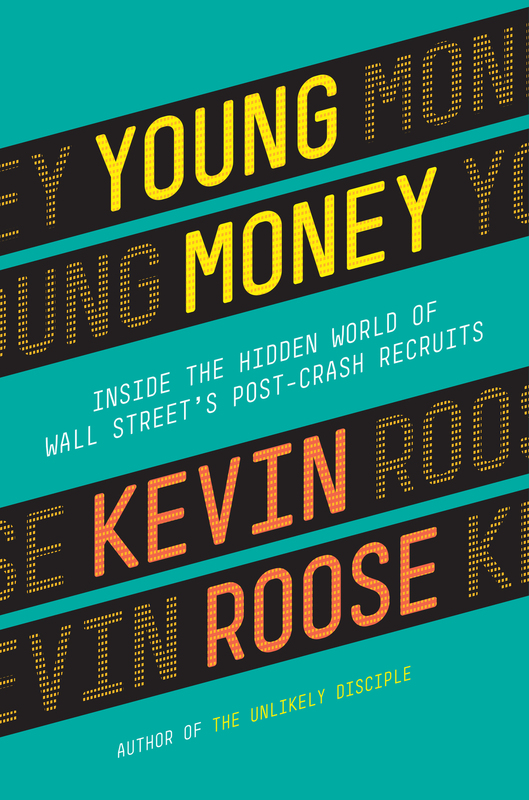 “If Kevin Roose’s finely crafted Young Money does not scare you straight about the life of a young financial analyst on Wall Street, it can’t be done. Roose's frolic through Wall Street’s playpen is a must-read."